Mixing of the atomised fuel and air which is important for perfect combustion. We have found that the basic injector is dirty every time it runs. In it’s basic state, the power will naturally drop and it is impossible to attain the desired output results. If it is not a brand new model, there will also be performance deterioration which will worse fuel economy. A saviour for these engines appeared! ASNU will refresh your car from the basics. The power of the new car is resurrected. 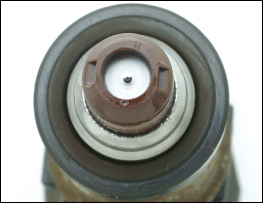 Historically injector performance deterioration has been solved by replacing it with a new one. However this does not stop reoccurrence. Such exchanges with new products have both time and monetary costs. The ASNU system solves these problems all at once. The cost if around one-third of a new replacement. Time taken from diagnosis to maintenance is 30 minutes (although this can vary depending on the model). 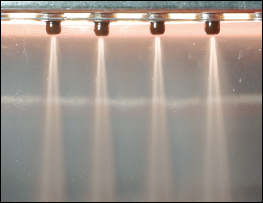 Using a special chemical solution and operating machine, the injector is cleaned result in a revived performance of the car. In addition, the difference is clear to the eye to see. It is clearly different from the unreliable original and you will be able to experience a definite change. 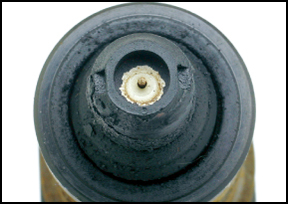 The injector reacted to the process even with extremely stubborn sediment which included carbon sludge. This is a particularly troublesome issue as the levels will increase every time you run the engine. 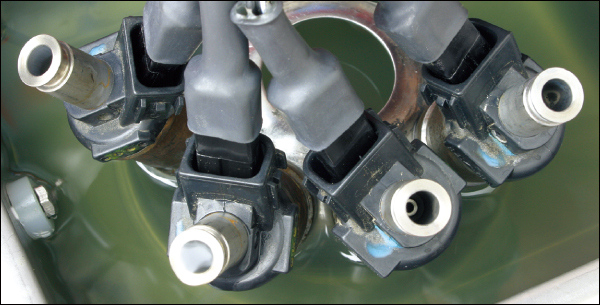 It is clear that you cannot expect a decent fuel injection without any additional work. This dirt removal was not so easy. 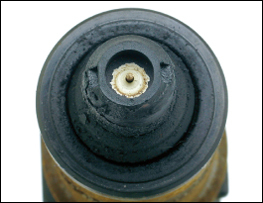 There is also a filter solid with dirt within the small injector. 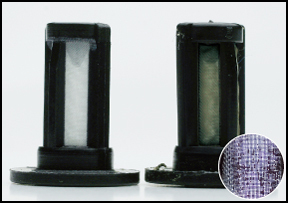 You can see the clearly see the difference between the clean filter basket (left) and the dirty filter basket (right). It is necessary to replace these with new ones. 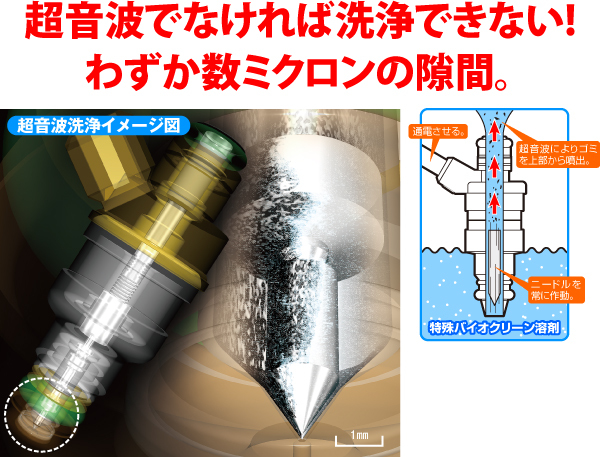 Previously it was impossible to see the injector’s injection pattern but ASNU’s technology has made this possible. It is clear to see there is not uniform injection pattern. This is clearly demonstrated by the performance degradation. 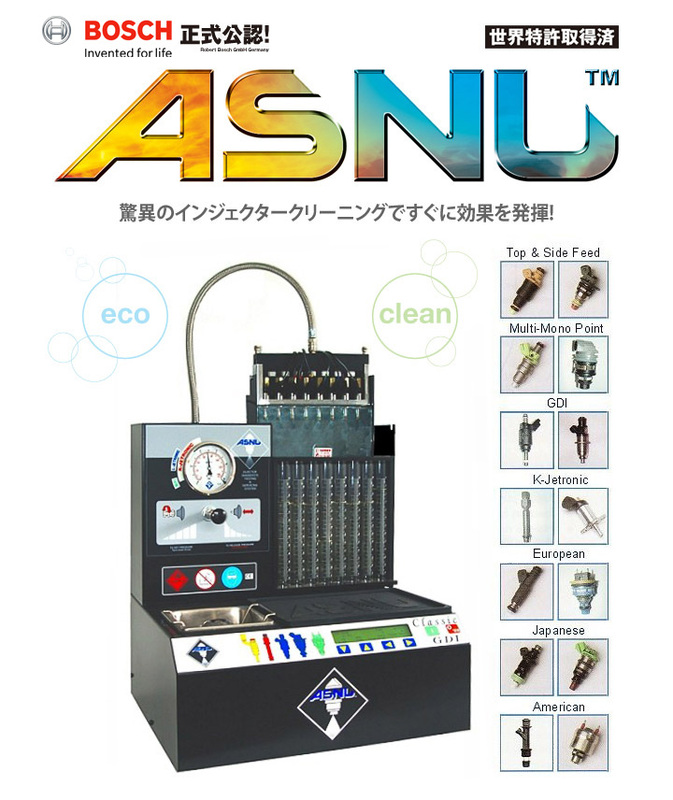 Using ASNU’s technology, it is possible to quantify the fuel injection amount for each cylinder. 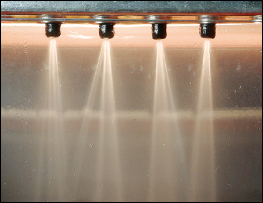 If it is a dirty injector then the rate of flow will fluctuate significantly. It is also unlikely that fuel consumption will decrease and power levels will increase. Here is the point of the injector where the dirt including the oil and grease accumulates. This dirt accumulates according to the mileage of the car and cannot be removed via conventional cleaning methods. Set the dirty injector on the ASNU test bench. Check the spray pattern when high pressure is being applied. 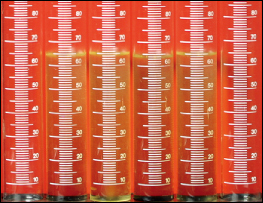 An irregular injector will have clear performance degradation. 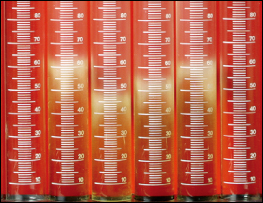 You can see that there is a clear difference between each cylinder in the injected fuels levels. 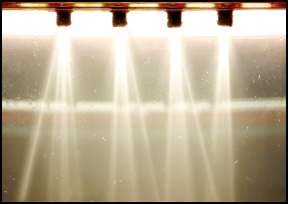 As it can be quantitatively confirmed, it is possible to perform reliable maintenance. We must immerse the injector in a special bio-chemical cleaning solvent tank and then peel off the dirt using ultrasonic waves. The results will be visible in a short amount of time. 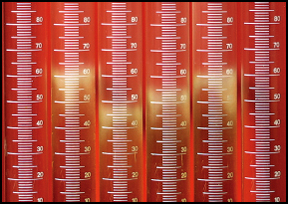 Following the cleaning and any changing of parts, we carry out injection testing. It is clear to see that it is possible to achieve the equalisation of the fuel injection as visible by the gauge. With this the pressure of the cylinder can recover. The difference in the spray pattern can also be seen. As is visible, the fuel can now be injected as uniform particles. The injector port is now in perfect condition following the ultrasonic cleaning. The dirt that was interfering with the fuel injection can no longer be found and the part is now comparable to a new one.